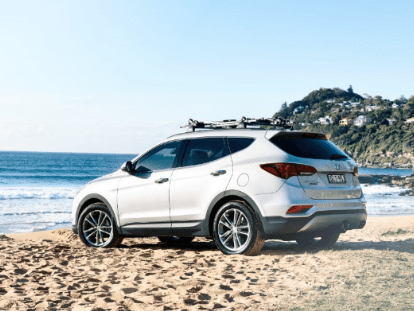 At Nunawading Hyundai, along with offering the latest New Hyundai models, we also stock a fantastic range of quality used cars at affordable prices. On top of our range of used Hyundai for sale, we also stock a great selection of other used car makes and models. Drive away from Nunawading Hyundai today in a used car that suits your needs, budget and lifestyle. For more information or to test drive any of our used cars for sale, please Contact a member of our helpful team today. All vehicles subject to prior sale. Neither Nunawading Hyundai nor Hyundai Motor Company Australia Pty Ltd make any warranties as to the accuracy or completeness of the information contained herein, and under no circumstances will the above parties be liable for any claims or losses of any nature, including, but not limited to, expenses, lost profits, punitive or consequential damages caused by reliance on this information. Check with Nunawading Hyundai for the current status of all listed vehicles. Photographs may not reflect actual vehicle details including, but not limited to colours, accessories, or option packages. All rights are reserved.